The Leading Manufacturer of Aluminium Swinging Arms. 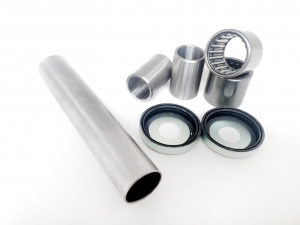 Including: Inner & outer seals and spacer tube. 2 quantity needle roller bearings, 2 quantity inner bearings, 2 quantity end caps and 1 quantity spacer tube.